By buying this product you can collect up to 89 loyalty points. Your cart will total 89 points that can be converted into a voucher of Rs. 4.45. 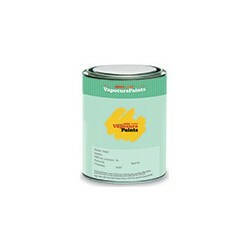 MRF Wood Coat is a 100% Aliphatic Polyurethane (PU) coating specially designed for wood surfaces. 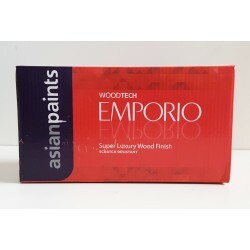 It can be applied on natural wood, veneer and engineered wood. It provides a protective film of polyurethane over wood, preserving it from rain, sunlight and atmospheric pollutants. 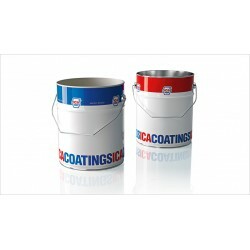 The coating is tough enough to resist abrasion and flexible enough to accomodate expansion and contraction in wood and movements in wood joinery. The clarity of the film is also excellent, enhancing the natural grains of the wood. 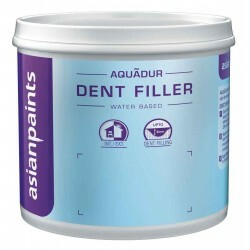 Superior Grain filling and exccellent levelling characteristics. 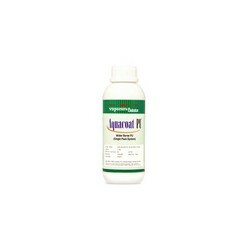 Highly resistant to chemicals and stains. 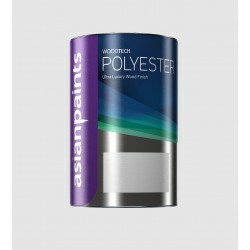 Top coat is available in both glossy and matt finishes. This premium quality transparent polyurethane (PU) finish for wood is so special that it makes one feel that beauty is eternal as long as you preserve it. Apart from the ultimate protection from sunlight and rain, one cannot stop admiring the incredible looks it casts upon the component coated with it. The Sealer is just an under coat. 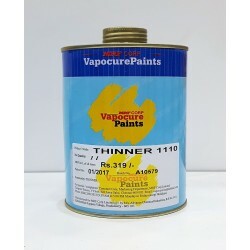 Its use and the procedure to be followed to get the completed finish is as follows. 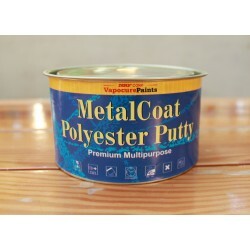 MRF Wood Coat Glossy - this product. 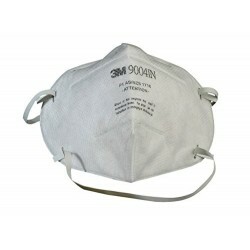 Face Mask to prevent inhalation of spray. Prepare the wood by dry sanding with emery grit 80 to smooth the grains and undulations on the surface. Sanding should be done along the grain. Once major imperfections are removed, dry sand with emery grit 120 to get a smoother finish. Switch on the compressor to get the required PSI. 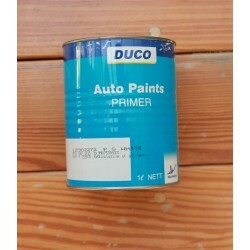 (Here is an excellent article on how to spray paint using a paint gun and a compressor). 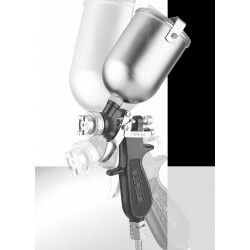 Connect the spray gun to the compressor. Wipe clean the surface to be sprayed using a dry cotton cloth. 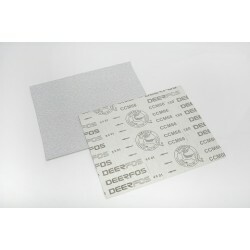 The Sealer can be tinted or transparent depending on the desired final finish. 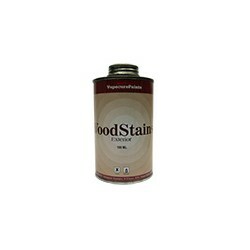 With a muslin/cotton cloth apply sealer mix along the grain on to the entire surface maintaining uniform thickness. After the sealer has completely cured and hardened, sand the flat surfaces with 180 grit free cut/ open cut emery using an emery trowel. 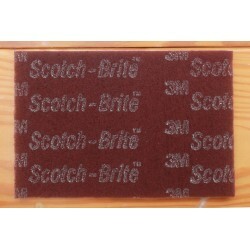 For uneven, round, carved etc surfaces, 3M hand pads/scotch brite hand pads equivalent to 180 grit can be used. 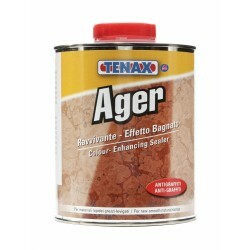 All excess sealer must be sanded and removed completely to get a smooth uniform surface. Wipe the thus surface clean. The rest of the procedure is the same as for regular woods. 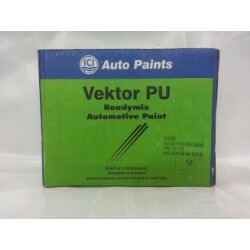 Mix Sealer base and hardner along with 10% - 15% thinner. Pour mix into the spray gun. Spray the sealer onto the surface. Wait for sealer to cure and harden. Sand with emery/hand pad grit 600. Wipe clean. Additional coats of sealer can be applied for a smoother finish. 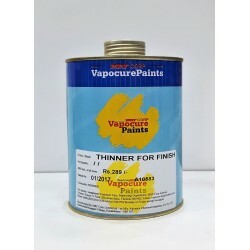 Mix Top coat (Matt or Glossy or Mix a of the two) base and hardner in the given proportion along with 10% - 15% thinner. Pour mix into the spray gun. 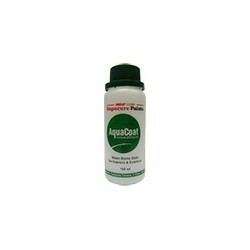 Spray mix onto the entire surface. Wait for top coat to cure and harden. Sand with emery/hand pad grit 800. Wipe clean. Spray a second coat of the top coat. In case of gloss finish, additional top coats can be added by sanding with 1000 grit emery between coats. 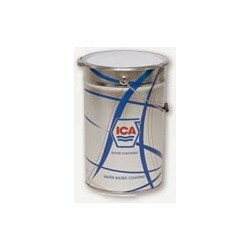 Gloss top coats can be further buffed using rubbing compounds to get a high gloss finish. 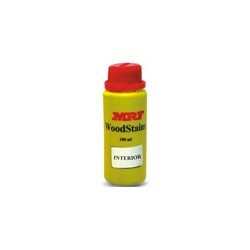 If the wood is previously coated, remove the coating by scraping and a paint remover. 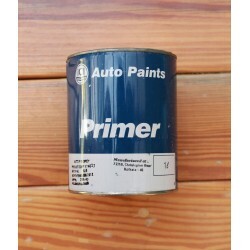 Ensure the paint remover has completely evaporated before coating. 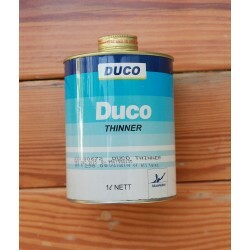 Ensure exterior woods are coated from all sides.